I drove up to Liane, as far as I could drive before parking the car and looked at a) a steep wall and b) juniper bush all around. I’ve been in the hiking business long enough to know that this would NOT get nice. On peakbook.org, I had read (thanks, Knut Sverre) that the terrain was better further west. Still, I decided to hike straight up. I stayed as close to the cliff as possible, hoping there was less bush there. That was … somewhat true. 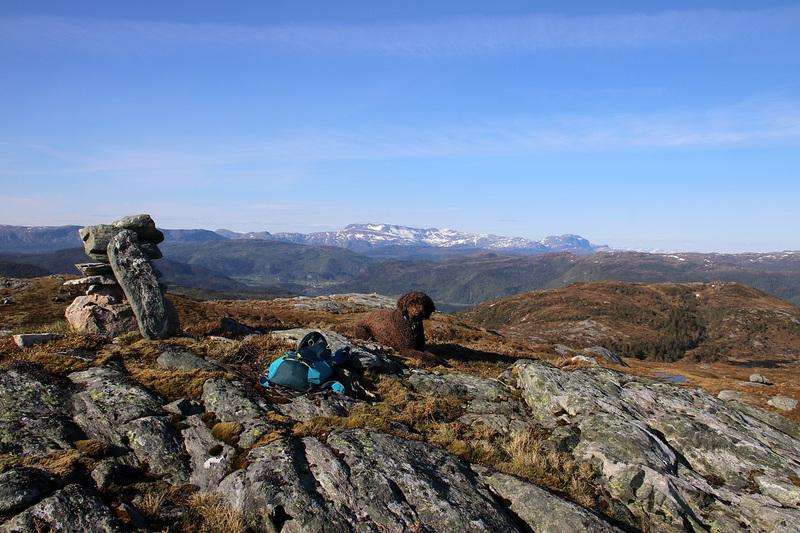 It didn’t take long to reach the high point and now that I was here, I figured I could hike Ramsgrøheia too. Which was on my to-do list anyway, but possibly along the east ridge. 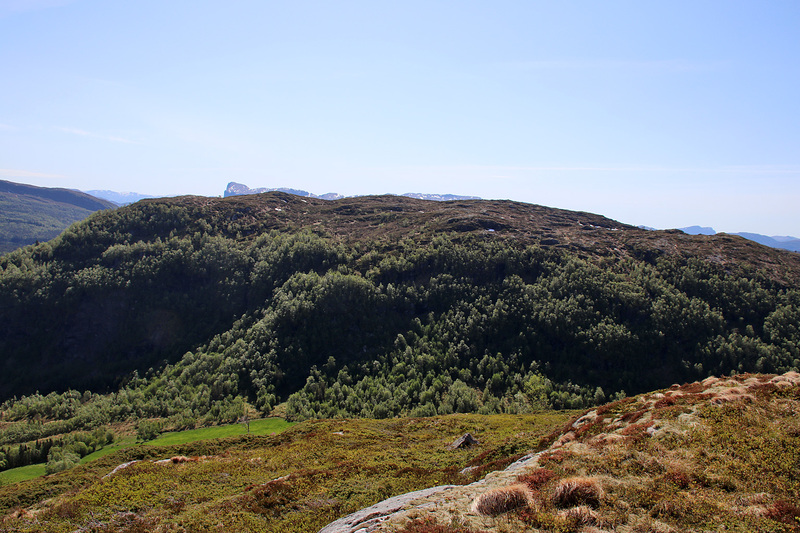 But from what I could see from Tempelet (the Temple), I could probably ascend Ramsgrøheia from the northwest without too much pain (read: bush). 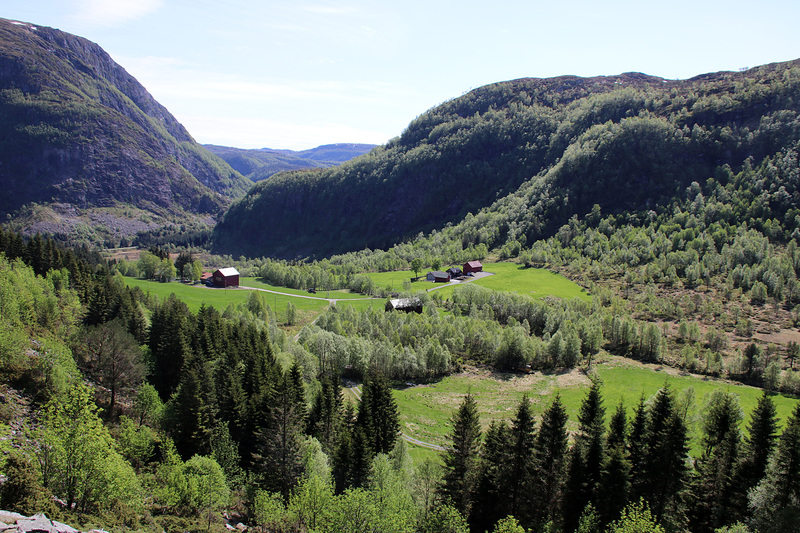 Knut Sverre was right, it was less bush further west and I got into the valley without any problems. 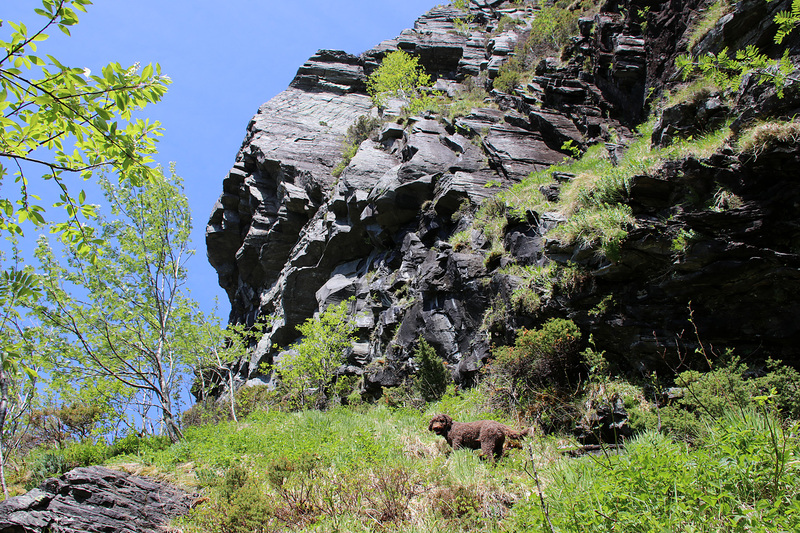 And the ascent of Ramsgrøheia was also fairly uncomplicated (but far from fun). A deer gave me a good scare when it suddenly took off, just a few meters away from Karma and me. After visiting the high point, we returned the same way down to the valley and followed a path back to the car. 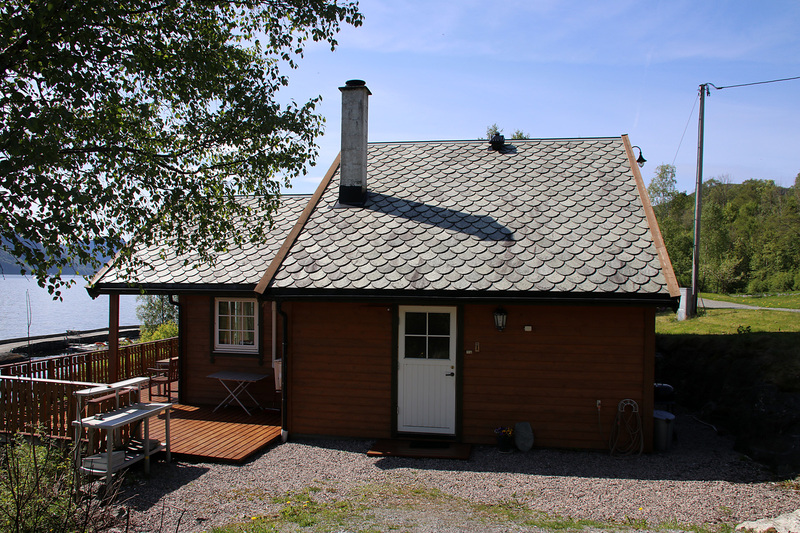 I returned to the rented cabin to perform some IT stuff, part of the being on duty routine. 30 minutes later, I was done and ready to go again. Trip statistics: 4,7km, 450 vertical meters, 1h:25m. 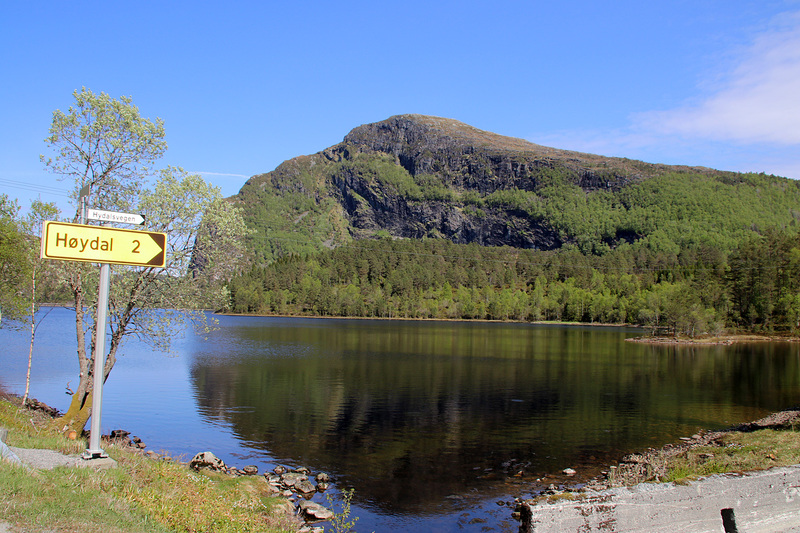 Once again, I drove up to lake Ramsgrøvatnet, but now took the turn towards Høydal. Ramsgrønova (aka Hornsnova) was the primary goal. 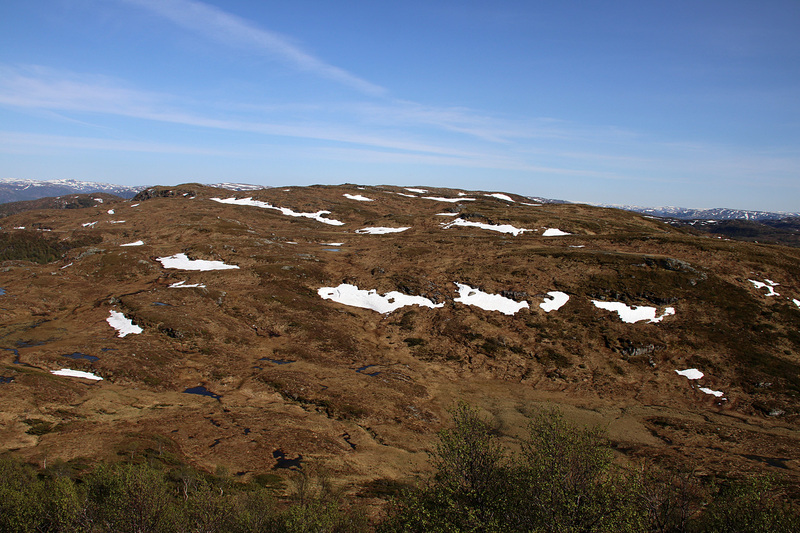 Flateheia was the secondary goal, assuming easy terrain. I met a farmer and asked for trail advice. I probably misunderstood him, and ended up westbound on a tractor road that turned into a deer track. I crossed the creek and headed north, still along the deer track until it didn’t provide any additional service. 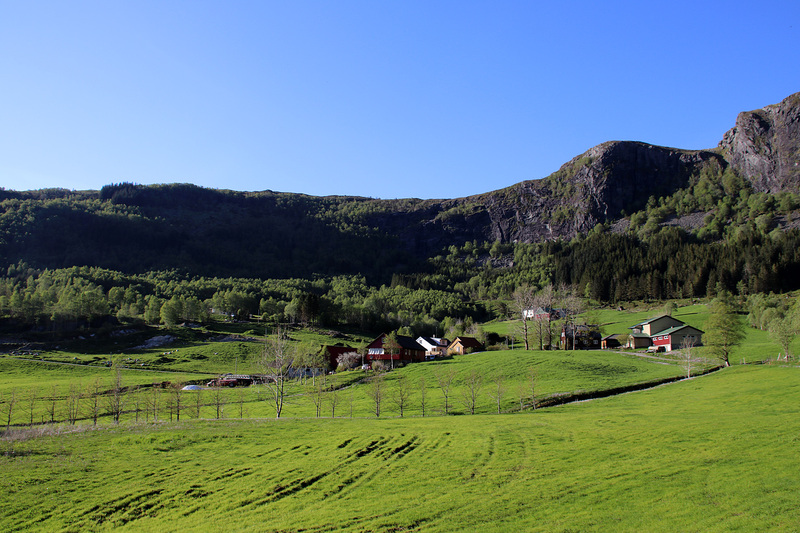 I was quite happy when I reached Ramsgrønova, as this could have been a terrible hike. 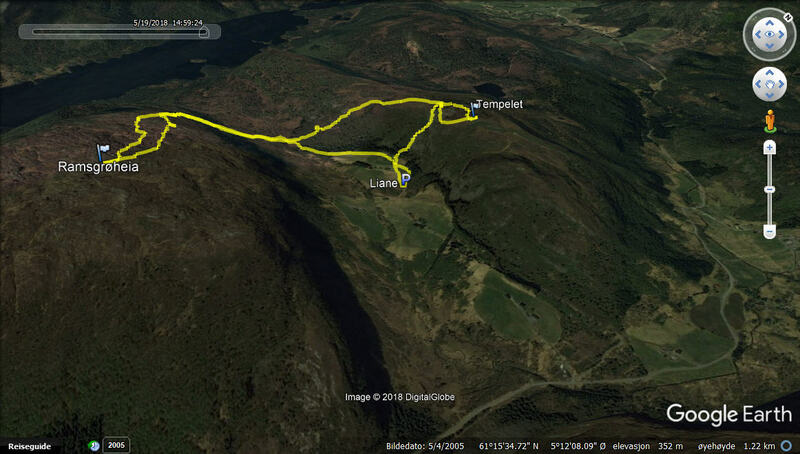 Once up, I could see from the GPS that Flateheia was 3,4km away, straight line. That meant at least 4-5km in the terrain. But OK – Flateheia couldn’t be easily reached from any other place either, so I decided to go for it. 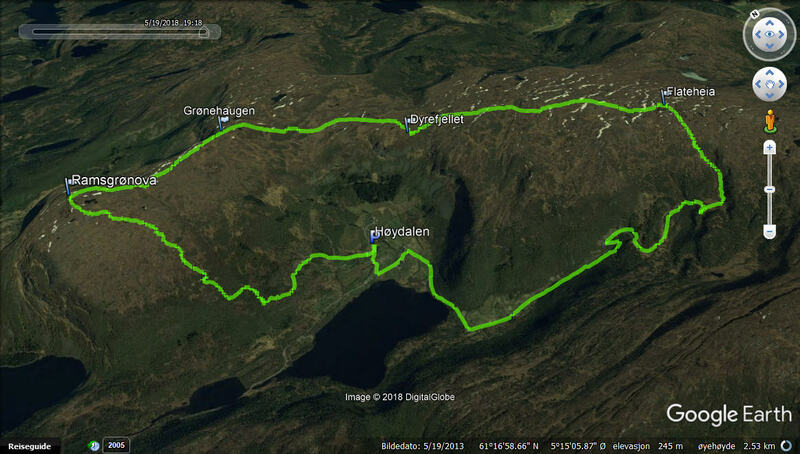 The plan was to hike across Grønehaugen, Dyrefjellet and to Flateheia, return to south of Grønehaugen and see if I could find the tractor road that I’ve should have taken in the first place. It wasn’t a fun walk. Not any naked rock to walk on, just turfs, bog, moors, whatever you want to call it. 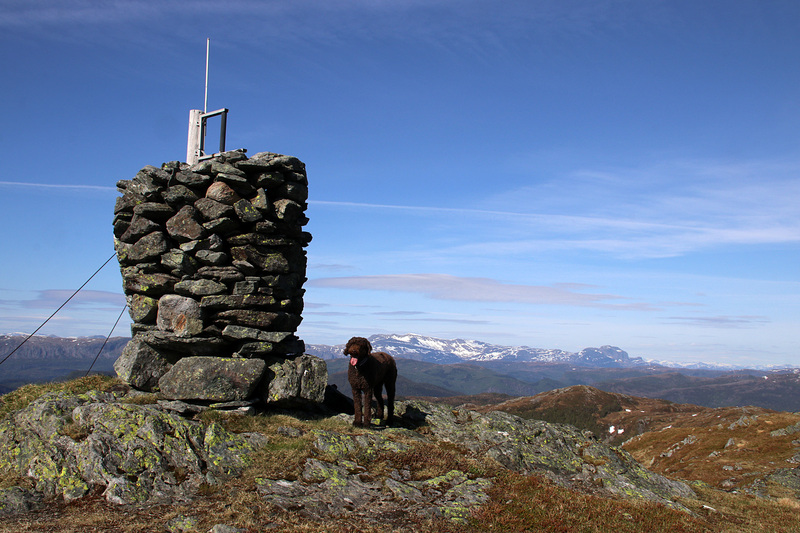 But eventually I reached Flateheia and could go “Yai…” on my 4th top for the day. 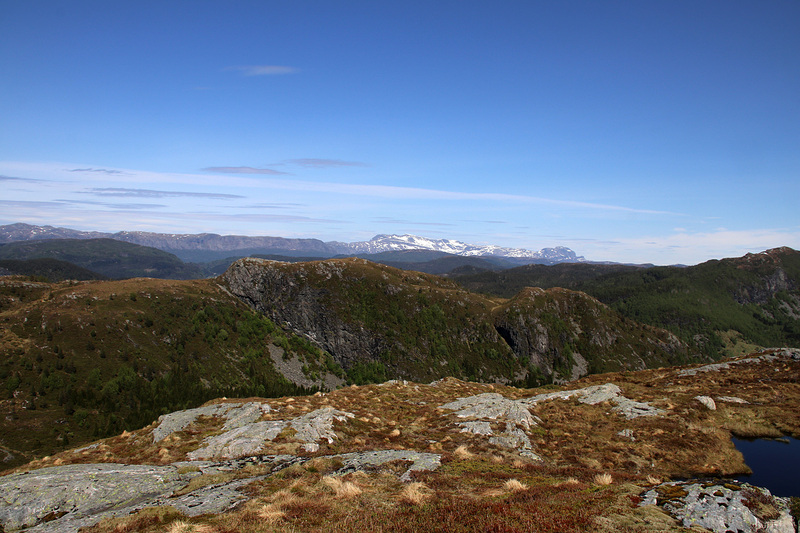 From Flateheia, I headed down to Snømyra, alongside a steep cliff. The descent went fine. 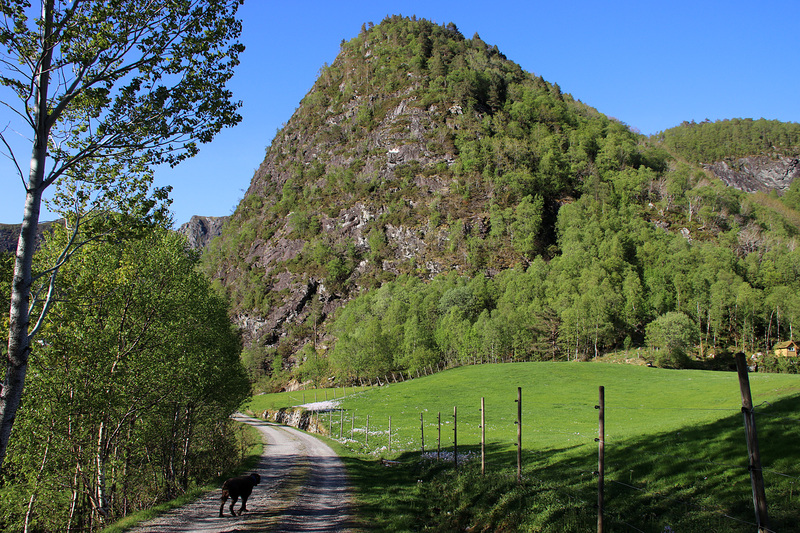 Then I got on the ridge towards Mikkalplassen, only to find that a very, very steep cliff separated me from a tractor road. But I soon found the right way down to the tractor road – and eventually the forest road and had an easy jog back to the car. The time was 7:18pm when I returned to the car. Plenty enough time for another hike, but I figured I could call it a day after 4 tops, 1200 vertical meters and 15,5km of hiking. But more importantly, I was a bit bored. I’m enthusiastic, but not addicted. There IS a difference. I had a very nice evening in the rented cabin. The only downside was that the dog looked bored. “Was this it? After 4,5 hours in the car to get here?” I promised to make it up to her the next day. Trip statistics: 10,8km, 735 vertical meters, 2h:45m.